"Time is going by so fast." Kino Lorber has debuted an official US trailer for a documentary titled Makala, which premiered at the Cannes Film Festival last year and played at the Toronto & London Film Festivals. I saw this in London and loved it, writing a rave review. It's still often on my mind and with this new trailer I want to bring some attention to it again. Made by French filmmaker Emmanuel Gras, Makala follows one man from Congo (aka Democratic Republic of the Congo) who makes charcoal on his own then carries it on a bike to a nearby city to sell. As I said in my review: "it is one of the most engaging looks at humanity you can find on screen all year." Makala is an eye-opening cinematic experience that I highly recommend to all. You can also watch the original UK trailer for Gras' Makala here, for a bit more footage from this film. A young man from a village in the Congo hopes to offer his family a better future. His only resources are his own two hands, the surrounding bush, and an iron will. When he sets out on an exhausting, perilous journey to sell the fruit of his labor, he discovers the true value of his efforts, and the price of his dreams. 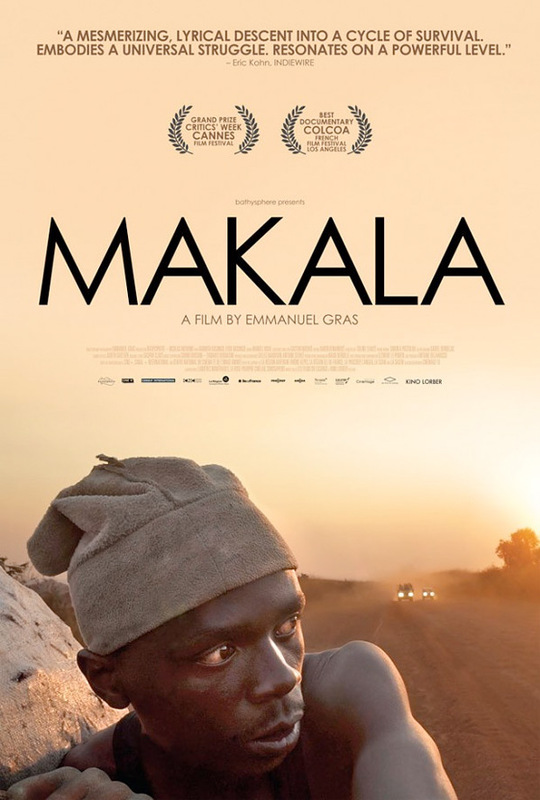 Makala is directed by French filmmaker Emmanuel Gras, of the films Bovines and 300 Souls previously. This first premiered in the Critics Week sidebar at the Cannes Film Festival last year, and also played at other fests including the Toronto, Tokyo, Vienna & London Film Festivals. This already opened in the UK in February. Kino Lorber will release Gras' Makala in select theaters starting August 24th. Who's interested?